Mobiles have long been a favourite item for babies and toddlers. 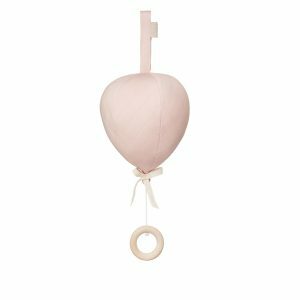 Lovingly hung above cots and changing tables, these cute dangling features captivate the attention of little ones, keep them calm and help to send them to sleep. 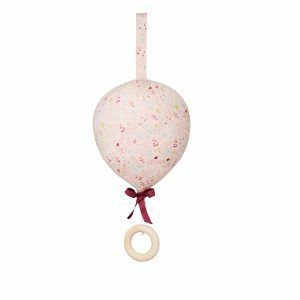 Whether they simply spin or also play a dreamy lullaby, children’s mobiles are cherished items that belong in every baby’s nursery or bedroom. 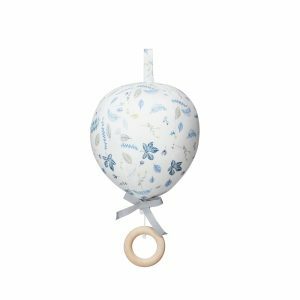 At Pip and Sox, we offer a range of wonderful children’s mobiles that both you and your baby are sure to love. 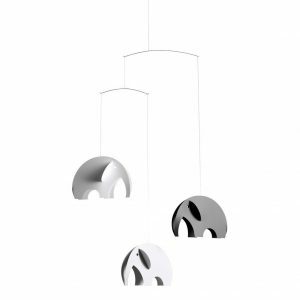 These gorgeous mobiles are perfect for stylish spaces and make a stunning feature in any kid’s bedroom. From cute clouds with raindrops to whimsical animals, these charming creations are sure to elicit smiles of joy from your little one as they stare up at them. 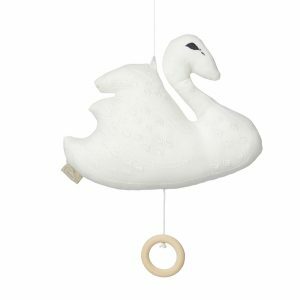 Adorable handmade swan music mobile to hang in the little ones room or above the changing station. 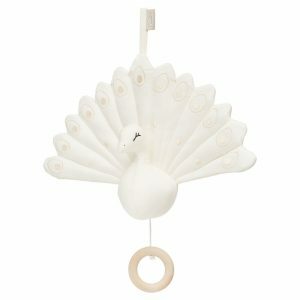 This unique music mobile will make bedtime or nursing time a fun and cheerful moment. The mobile comes with the finest detailed embroidery and is equipped with a small wooden ring that needs to be pulled in order to start the music. The mobile comes in a matching fabric bag. 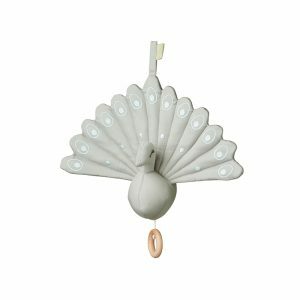 Create a calm, relaxing mood at bed or changing time with the Cam Cam Copenhagen Peacock mobile. This lovely handmade music mobile looks so sweet hanging above a cot or change table. Pull the wooden loop and it will start to play a sweet lullaby. 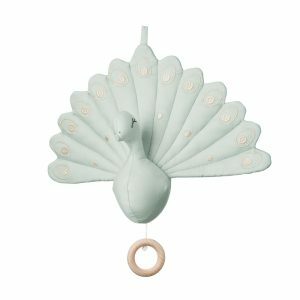 The peacock mobile is made from 100% organic cotton and is finished with fine embroidery. Each one is handmade and slight differences add to the charm of this heirloom-quality piece. It comes packaged in a lovely box, making this an ideal gift for a newborn or baby shower. Cam Cam Copenhagen create timeless bedding and decor for babies and children, with a focus on sustainably sourced and organically grown fabric and materials. 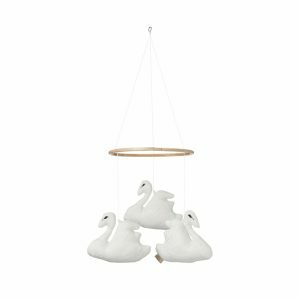 An elegant swan mobile with three charming swans hanging from a bamboo ring. The swans are handmade and beautifully detailed with the finest embroidery. 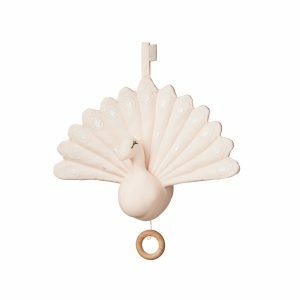 This mobile is perfect to hang in the little one’s room or above the changing station. Measurements: Bamboo ring 20 cm in diameter. 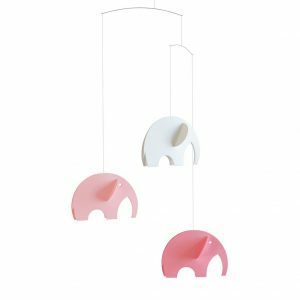 An adorable music mobile to hang in your little one's room or above the changing station by Cam Cam Copenhagen.